Dear 8Share Members, good news for you, if you’re ready to cash out soon! 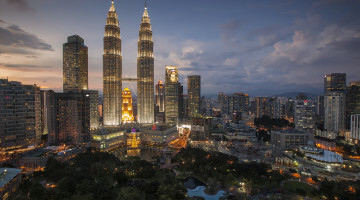 CIMB Bank launched a new product recently called CIMB Bank Kwik Account, so they gave us a call the other day to ask if they could give 1,000 lucky 8Sharers an extra RM5 for cashing out and we thought why not? We love rewarding cash and prizes to 8sharers all the time so this is perfect! When you open and use your CIMB Bank KWIK Account, you will get up to RM50 rebate on iTunes and Google Play app purchases. This is only available till 28th February 2014. **Terms and conditions apply. Promotion is applicable to a maximum of 1000 transactions within the campaign period. This promotion is not endorsed by, sponsored by, or otherwise affiliated with Google. Nothing in this promotional material shall be construed as a representation that Apple Inc. and/or Google Inc. have endorsed or are in any way associated with this promotion. Google Play is a trademark of Google Inc. 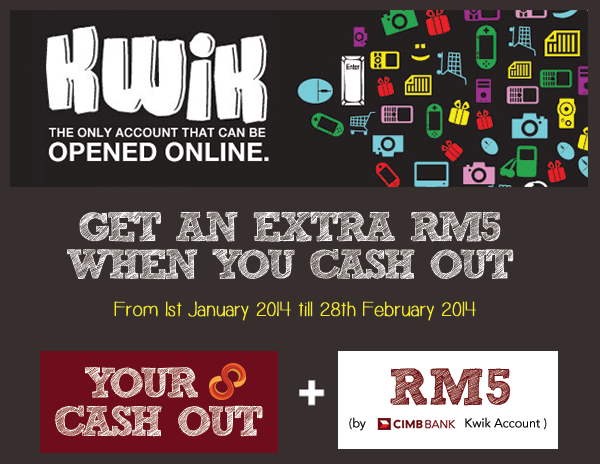 Create a CIMB Bank KWIK Account here: https://www.cimbclicks.com.my/wps/portal/VaRegistration, the extra RM5 will be transferred to your CIMB Bank Kwik Account. 28th February 2014 will be randomly selected to receive the extra RM5 in their CIMB Bank Kwik Account. 2. ONE(1) 8Sharer is only entitled to receive the extra RM5 once during the campaign period. 3. Any entries with incomplete or inaccurate details will be forfeited. 4. The results will be announced by 20th March 2014 on this blog. i have created an cimb KWIK account few days ago, but my account didn’t receive any extra RM5.. The bonus is lucky draw basis, for all member who cash out before 28th February 2014, only 1000 of them will get the extra RM5. The result will be announced on 20th March 2014.
saya hanya ada account maybank jer!! I have filled up the form to claim the RM5 but keep receiving emails from 8Share telling i did not done it. But fyi, I have done it almost 10 times already. Please check.